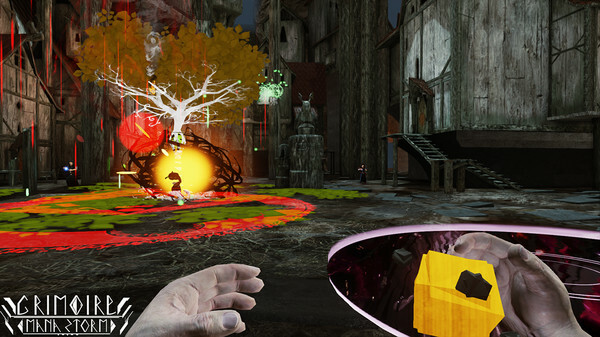 Grimoire is a multiplayer mage FPS that gives players control of devastating magic. 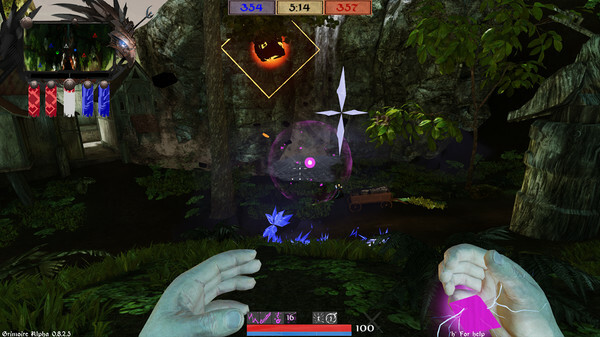 Unique spells put a twist classic shooter gameplay, adding the tactics and trickery of magical combat. Explore a dark medieval world through exciting game modes that put a new twist on old favorites. Fight for territory, prestige, and your very survival. 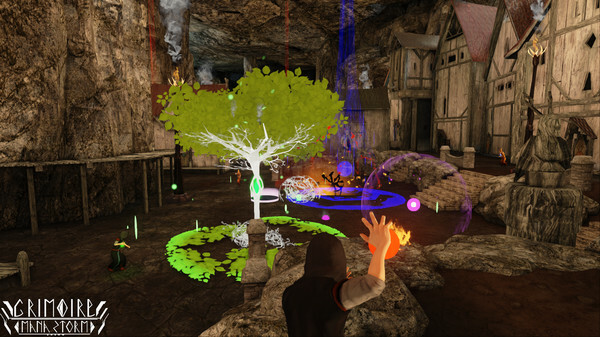 Scorch your enemies, vanish into thin air, or turn to stone with dozens of powerful spells at your fingertips! 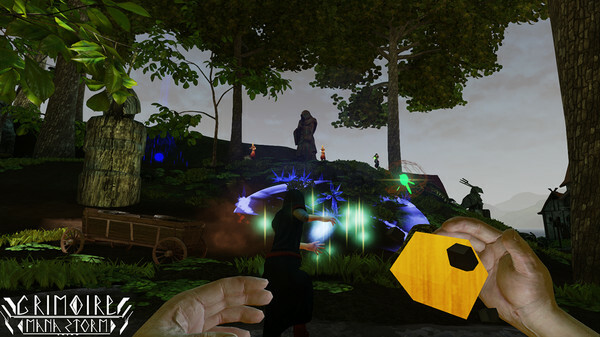 Choose from one of six wizard classes and wield four primary spells in deadly magical battles. Pick two additional abilities from a shared pool of spells that range from teleportation to a powerful kinetic blast that sends foes flying. Mix in passive abilities that increase your tactical options and you have a recipe for combat befitting a student of the Arcane Arts. Many spells are inspired by our favorite MOBA games like DOTA 2 and League of Legends. 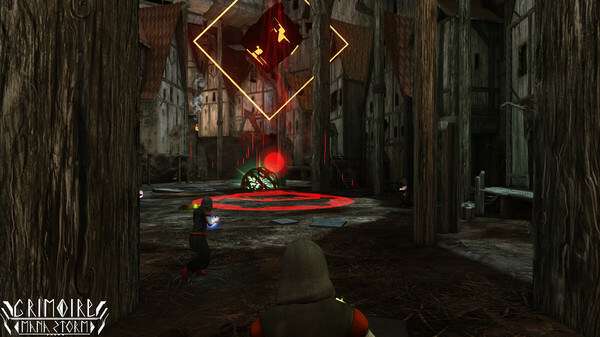 Grimoire´s FPS spin on these strategic spells creates fast paced tactical combat unlike anything you´ve played before. 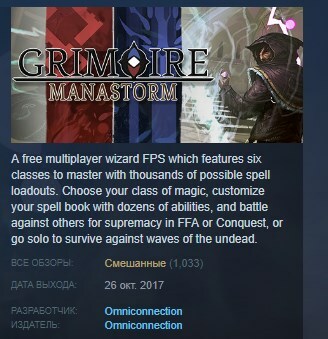 Grimoire is not a game of instant damage and unavoidable death. Every spell has a counter… if you’re ready for it! ★ Conquest - Magnus and Validus battle over control of key sources of magical energy known as ley-lines. The longer the ley-lines are held the more energy is gained including a large influx of power if one house can manage to take total control of an area. Destructible objects can reveal new territory or bring the environment crashing down on your enemies. Inspired by games like Day of Defeat, the Battlefield series, and Team Fortress 2; Conquest is a territorial battle that features large (8v8) teams. ★ Free-For-All (Deathmatch) - Chaos reigns supreme in this fight to the death. This classic game mode is a great way to try out the game without worrying about objectives. War approaches. An epic conflict not only for power, but for survival.